cosplayers dressing up as their favourite anime characters. LINE up of cars during the autoshow. THE event that took place at Borneo 744 on November 18 helped showcase talents from different backgrounds, and also offered activities for people with different interests. MINIATURE cars on display at the event. BORNEO 744 on November 18 was filled with youth of different passion, each with the fiery intensity to perform the talents laid in the heart of each of them. There were a group of boys and girls feeling the winds through their hair, the same wind that touches their face as they rode on their skate boards, up the ledge, despite falling down multiple times, the same many times they stood up and continued on. Such is also a description, that is best to describe the youth that participated in AYCLIVE@Borneo744, an event to bring out the best in them despite their differences. 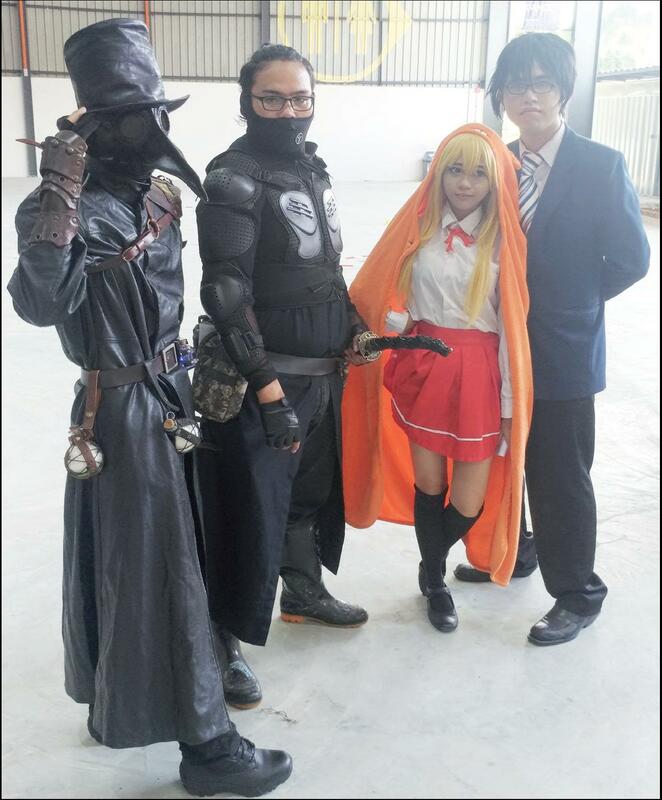 There are also those exhibiting their love for fast cars, and building them, as well as those who loves cosplaying their favourite anime characters. Meanwhile, also present were those that have a passion for handicrafts as they sat at their booth explaining to those interested in the how-to of creating crafts. The programme known as AYC (AZAM Youth Central) Live@B744 is an urban youth programme introduced by Angkatan Zaman Mansang Sarawak (AZAM) to provide a platform for local youths to engage in current development programmes and activities. This particular AYCLIVE@ Borneo744 is the first of the AYCLive series to be held outside AZAM Youth Central since its first introduction in 2013. It is a result of collaborative efforts between the youth volunteers together with contributions from young Sarawak talents which include music and dance performances, extreme sports, visual arts, community services and entrepreneurship. In line with the state’s digital economy agenda, the programme aims at highlighting aspects of the emerging economy and with that in mind, the theme for AYCLive’s forum and workshops revolves around digital economy which is not just the local trend, but one that is overtaking the globe across a diverse range of sectors. The workshops were categorised into three different topics under the same theme which focuses on technopreneurship, artpreneurship and fintech while the ‘Ngopi Ngeteh’ randau session/forum titled, “Adapting to Change and Riding on Trend in the 4.0 Era” was aimed at engaging millenials in a discussion on what lies ahead for them in the age of the digital economy. The randau session saw TEDxKenyalang curator Zaiwin Kassim, PolicyStreet co-founder Wilson Beh, MaGIC Sarawak representative Amirin Arysan and a HAUS Kch representative Ashweein Narayanan as panellist. Moderated by AZAM Young Souls Amanina Matali and Muhd Ammar Zafri Zainuddin, the randau session was designed to evaluate the digital readiness of Sarawak Youth, upcoming developments or scenarios brought on by increased digitisation and explore the growth opportunities available. Meanwhile, through the techpreneurship workshop organised in collaboration with MaGIC Sarawak featuring CampFyre founder and managing partner Squirtle Sdn Bhd, Mac Jake Louhart Wanta, young entrepreneurs were able to learn on how to leverage on current digital technology and the rise of the internet economy to broaden their global reach. As for the artpreneurship workshop, young creatives got to share ideas on how to turn their passion into a business or enterprise led by Shaik Azahar Shaik Hussain from the Faculty of Applied and Creative Arts UNIMAS. It served as an avenue for people with creative talents, whether in filmmaking, handicraft, fashion or performing arts, to discuss challenges, opportunities, business models, networking and how to monetised their talents and products. Through the FinTech workshop conducted by FinTech Association of Malaysia founding member and treasurer Beh, the youth whom attended, goes back with an overview of financial technology in Malaysia and the region, and how this modern financial management system are able to aid their development as a technopreneurs where business or economic activities increases its dependability on digital financial technologies. The programme shared on that beautiful sunny Saturday is part of AZAM on-going efforts to engage with the youth to ensure inclusivity in the state’s development process. It is to help produce youths who are empowered with the relevant information, knowledge and skills not only to carve out their individual self-development path, but also to be aware of the platforms and opportunities that are available for them to contribute towards the state’s larger socio-economic development goals. This edition of AZAM Sarawak’s signature urban youth programme also had an exciting lineup of activities which include musical performances by At Adau, Soundholic, Foxgloves and modern dance by University Malaysia Sarawak(UNIMAS). A fashion show staged by Limkokwing Borneo was also part of the programme to showcase the talented bunch of students from the Sarawak campus while simultaneously exposing the students to self-development. 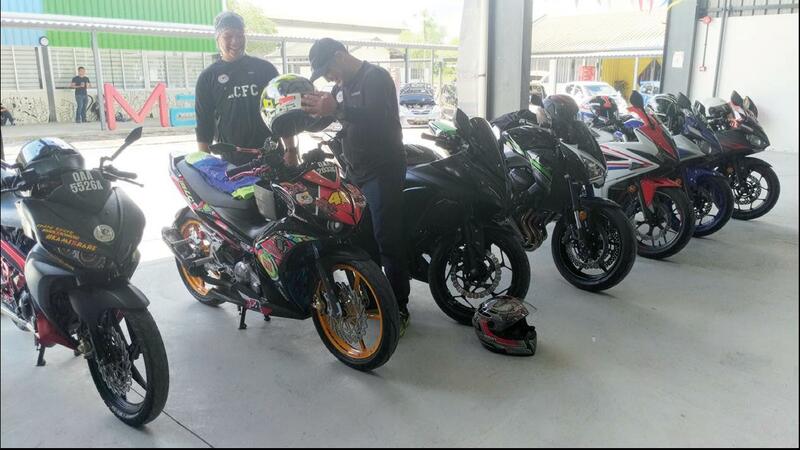 Other activities during the day at AYCLIVE@Borneo744 include a skateboarding clinic by School of Skateboarding, Kuching RC Drift, bike and car autoshow, K-Wheel rider, creative showcases and a flea market. The sponsors for the ACYLIVE@ Borneo744 were Grand Margherita Hotel Kuching, Riverside Majestic Hotel Kuching, Imperial Hotel Kuching, Harbour View Kuching, Syarikat Danao, Tiger System Transportation and Warrior Sparkling Energy Drink. For those unfamiliar with AZAM, they are a non-governmental organisation that complements the state’s development efforts by creating relevant programmes and activities that help advance and cultivate Sarawakians towards achieving its development goals. For more information, check out AZAM Youth Central’s Facebook page at AZAM Youth Central or AZAM Sarawak’s webpage at www. azam.org.my. Polishing the Young Guns 0 out of 5 based on 0 ratings. 0 user reviews.